Video Calling has now become a major communication tool to make long distance calls. Almost every smartphone and PC now supports the video calling feature. Hence, to make video calling more efficient and fun, we have devised a listed 10 best video calling software for PC. You might know some of these softwares, but a lot of them are new to this list. Skype will always remain the favorite when it comes to feature the best video calling software. Skype has now transformed into completely new software in terms of connectivity and features. While its user design remains the same, Skype has added a lot of new features like making voice calls and text. We can easily term Skype as the best software to make video calls in terms of connectivity and communication quality. You can install Skype through their official website using online installer. Alternatively, you can download a standalone installer of Skype by clicking this link. 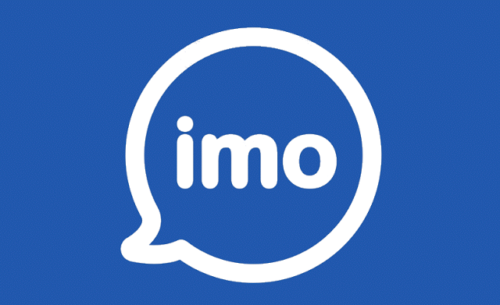 Imo is a good alternative to Skype and all other video calling softwares. It offers a quick video and voice chat with simple user interface. Imo is available as a PC software and also as a Chrome extension. You can also download Imo on your Android smartphone or iOS. Imo software is best for users who rely on limited internet data. Also, unlike Skype, it uses low system memory and will not hang up your PC. You can download Imo from its official website Imo.im. ooVoo is a completely new type of video calling software where you can have a group chat with 12 users. 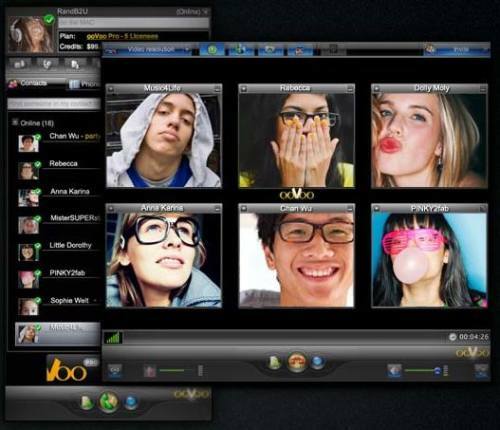 ooVoo was earlier a paid software, but with growing popularity, it is now completely free. With ooVoo, you can make one on one chat or a group chat by adding 12 users. 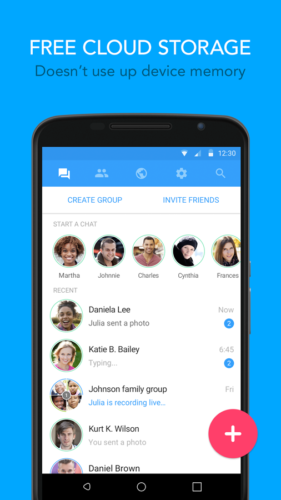 You can also chat via text by sending your friends images and videos. ooVoo is quite an innovative software with new features and themes. You also have multiple options to customize your video calls. ooVoo is available on all platforms and on all devices. Download it now from its official website. Viber provides high quality video and calls. Alongside quality, Viber also focuses on User experience and easy to use design. 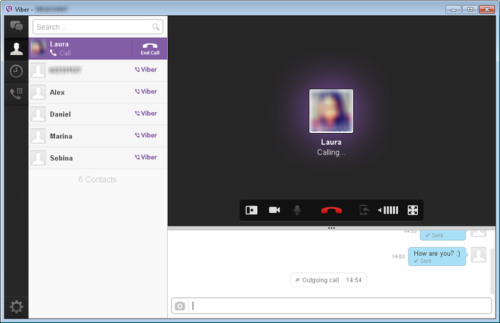 Viber is available for PC, Android and iOS users. You can easily download this software from Viber’s official website linked below and install it on your PC. Viber is a free to use Best video Calling software and hence you can make any amount of calls for free. You can also send offline picture and video messages to your friends. To start calling with Viber, download the software from here and sign up with your mobile number. Google Hangout is one of the best and easy to use video calling platform. You don’t have to download anything to use this app. Just go to hangouts and login with your Gmail address. 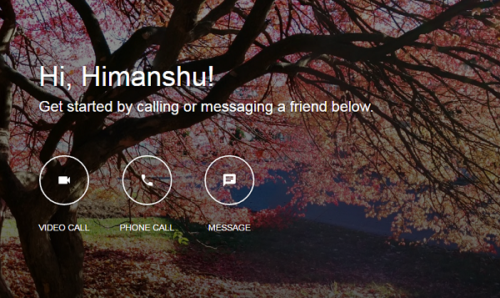 Google hangouts supports messaging, voice and video calls. 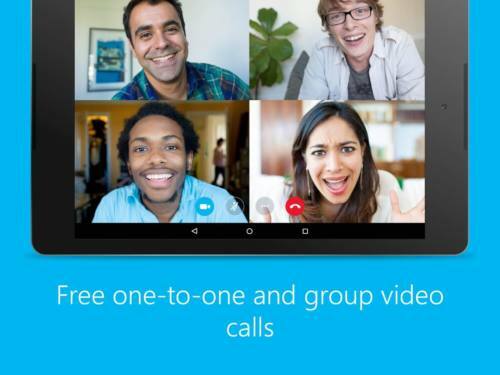 With Hangout, you can also make a group call with up to 10 friends. Hangout is available for PC, Android and iOS users. It can be accessed in any platform. Go to the official Hangout page by clicking here. Facebook chat is practically the most used messenger platforms. With a lot of friends added to your profile, you can easily select and invite any of them over to a video chat. 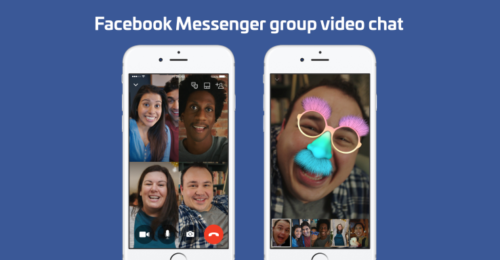 Facebook video chat is easier to use and removes a burden of adding an email address to invite people. Just select your online friends and start a Video chat. As everyone may know, Facebook video chat can be found on top of the chat box on Facebook. This is just another Video chat application that can be installed on your PC. You might not need these many softwares, but having a backup is always good. Tango can perform a Video chat or a voice call by adding friends. To register at Tango, click here. Tango is a completely freeand one of the Best video Calling software. Download and install it on your PC. You will have to register to use its features. 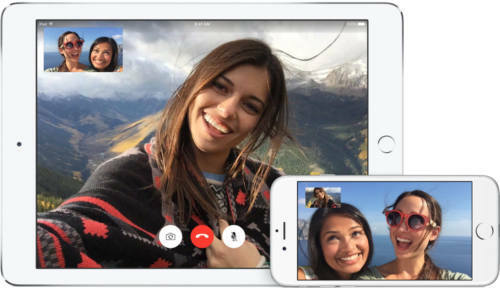 FaceTime is also a Video calling software available for iOS users. This software is best known for its differentiated features within a video call. FaceTime comes as an inbuilt app in iOS devices running iOS 5 or higher. It is also an inbuilt software on MacOS. FaceTime is not available for PC or Android users, as it is strictly limited to Apple products. You may find some FaceTime named software online, but they are not the real one. Glide is not only a video caller, but also a recorder. You can record the video calls while you are doing them. Glide is generally made for Microsoft Phones, but you can also use it on your desktop. There is no official Glide software for PC, but there is always a way to crack them. 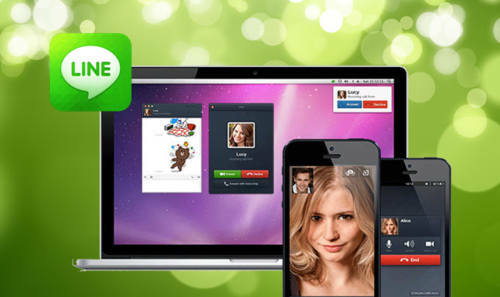 Line is another free video calling software available for WIndows users. You can make free voice calls, video calls or send text messages. Line is available for every platform,including Android, iOS and Windows. Line supports over 10000 stickers and emoticons, that can be shared while in the Chat. Alongside video calling, Line will also give you some exciting offers from your favorite restaurants or clubs. Download Line from its official website here. We hope you linked our list of 10 unique video calling software of 2017. DO comment below for any questions or suggestions. In addition to above, you can also have a look at R-HUB HD video conferencing servers app for all your video calling needs. It supports upto 30 webcams and works on all platforms.